This guide outlines some of the key issues for businesses. 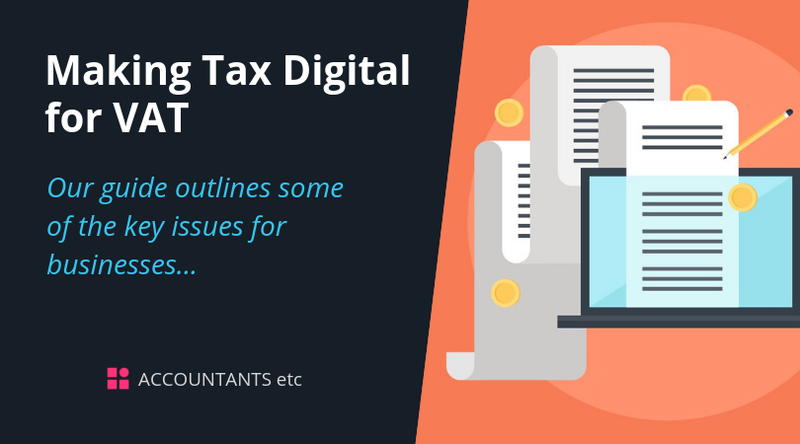 Making Tax Digital for Business (MTDfB) was introduced by then Chancellor, George Osborne, in the 2015 Spring Budget. The government’s ‘Making Tax Easier’ document was published shortly after, and outlined plans for the ‘end of the tax return’. It also set out the government's vision to modernise the UK’s tax system, with digital tax accounts set to replace tax returns for ten million individuals and five million small businesses. We're happy to assist and help answer your questions, please speak to an accountant on Norwich 01603 931177 or request a call back. However, industry experts and those within the accountancy sector expressed concerns over the proposed pace and the scale of the introduction of MTDfB, and, as a result, the government amended the timetable for the initiative’s implementation, to allow businesses and individuals ‘plenty of time to adapt to the changes’. MTDfB, starting with VAT will now be implemented from 1 April 2019, as summarised below. 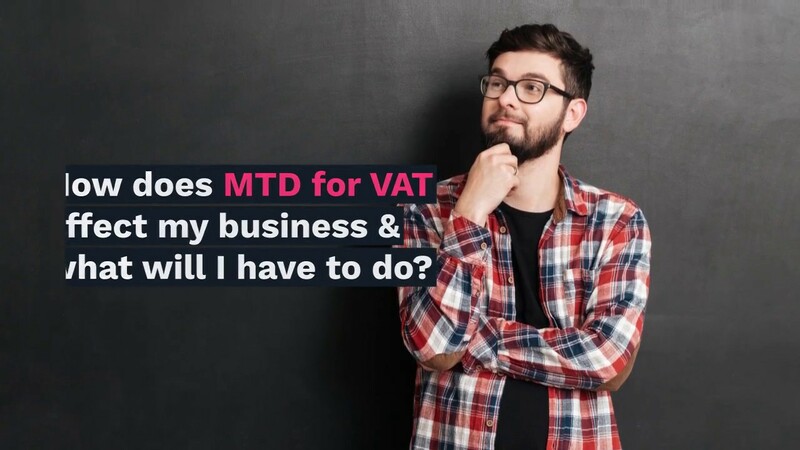 From 1 April 2019, businesses will be mandated to use the MTDfB system to meet their VAT obligations - termed Making Tax Digital for VAT (MTDfV). Only businesses with a turnover above the VAT threshold (currently £85,000) will be required to use MTDfV, however HMRC are piloting the new system from April 2018. Those businesses that fall within the scope of MTDfV will be required to submit their VAT returns using software compatible with the MTDfV regulations. Information will be extracted from the digital records in order to populate the VAT return. There will be no changes to the statutory VAT return or payment dates. In addition, businesses who choose to submit VAT returns monthly or in a non-standard fashion will be able to continue to do so. Under MTDfV, businesses must make use of functional compatible software to meet the new requirements. VAT returns will be calculated and submitted to HMRC via an Application Programme Interface (API). Clients will be able to submit their returns using software, bridging software or API-enabled sheets. being able to receive information from HMRC via the API platform that the business has compiled. HMRC will allow adjustments for partial exemptions to be calculated separately, outside of the digital records, and for these to be transferred in either digitally or manually. Ultimately, however, the final transfer of information to HMRC will have to be done digitally, in all cases. In April 2019, when MTD for VAT comes into effect, HMRC anticipates that there will be a one-year ‘soft landing’ period, when penalties for record keeping will not apply. a record of Daily Gross Takings if the business is using a retail scheme. Digital records must be maintained for the VAT account (and the audit trail between primary accounting records and the VAT return). The records should include details of both the VAT payable portion and the VAT allowable portion. Businesses will be required to keep digital records in functional compatible software for up to six years. Under MTDfV, only a small handful of businesses will be exempt. Please contact us for more details if they believe they are exempt. Businesses will be able to make a right of appeal against a HMRC refusal of exemption. No matter if your business is big or small, MTD will undoubtedly affect you. As your accountants, we can help you to prepare for the changes ahead of the implementation of MTDfV in April 2019. I'm very pleased with the input I received from Accountants etc. Would highly recommend. Accountants etc. are very efficient and provide us a very good quality of service at a great price. The team have always been easy to get hold of and happy to help with any queries. They really understand my business and the team has been very helpful. Great service! Get an instant online quote today & see how much you can save! We offer low-cost fixed fee pricing which enables you to know exactly how much you're paying. Book a free consultation today!